Among all the shoe trends that have risen to the surface this year, there’s one that stands out among the rest—the chunky sneaker. Blame it on the rise of athleisure, the dad shoe, or Balenciaga’s cult-worthy Triple S, but the fashion industry can’t get enough of the "weird" style. 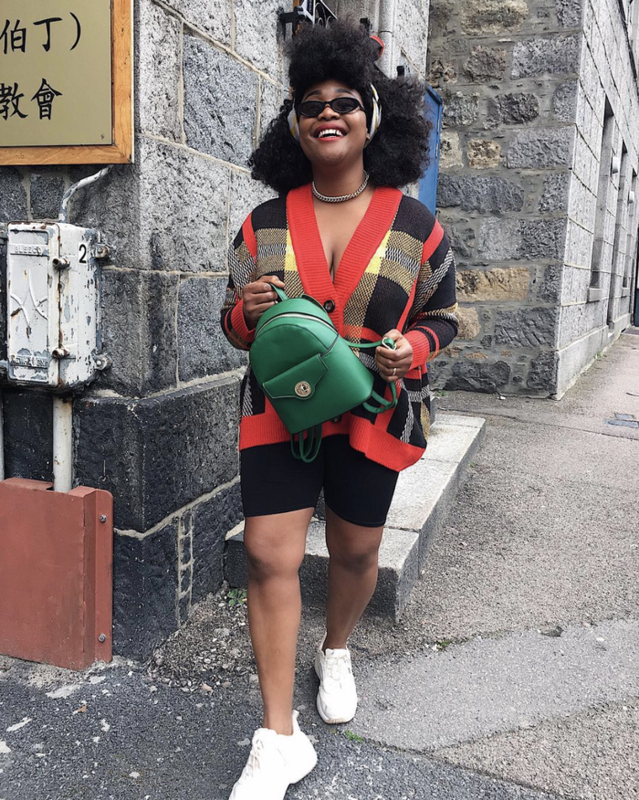 In fact, we’ve been seeing It girls everywhere take on the craze by wearing the beloved Fila sneakers with all their outfits. Not only is this iconic brand creating shoes that meet all of our chunky-sneaker needs, but they’re also available for as little as $65, making this a trend anyone can try out for themselves. It only makes sense then, that the Fila Disruptor II was named 2018’s Shoe of the Year. Accessible and on-trend as they are, it's no wonder they keep selling out. Looking for ways to wear the biggest shoe trend of the year? 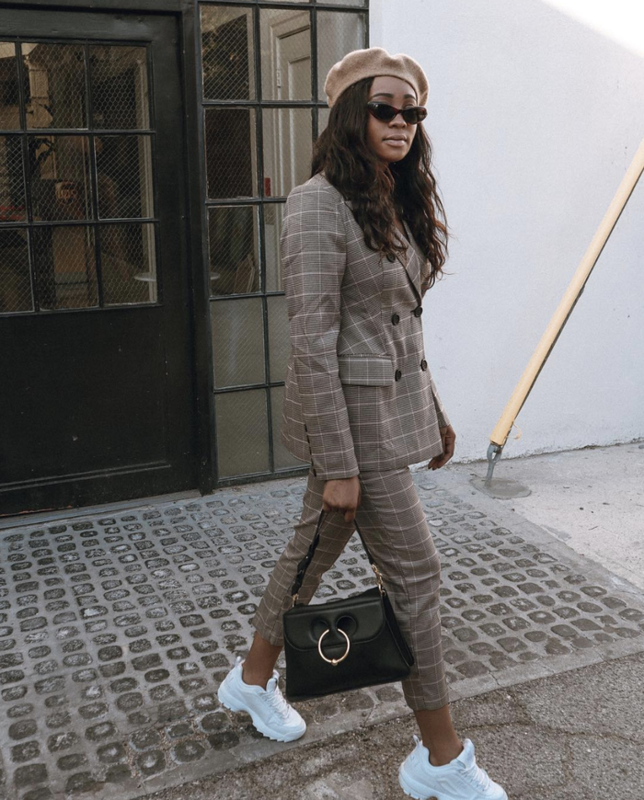 Scroll on to see how fashion girls are styling this sneaker style. From sleek slip dresses to polished pantsuits, you’ll quickly find that these shoes will go with everything you wear. Opt for an athleisure approach and pair your sneakers with bicycling shorts. Fashion lovers can't get enough of these. A floral skirt for fall has never been a bad option, and you'll be as comfortable as ever wearing these. Opt for a chic blouse and a pair of jeans for an everyday ensemble with your Fila sneakers. This top is just so pretty. We're loving these metallic stripes. You can't go wrong with bundling up in a puffer coat and sweats for the winter. This style looks so comfortable. Create a cool contrast with a slip dress and a furry coat with these chunky sneakers. Can't go wrong with a chic slip. While it's still warm out, opt for a printed minidress with your sneakers. Mix and match your plaids this fall and then finish them with your sneakers. Plaid pants are perfect for fall. Velcro and laces: the best of both worlds. For a comfortable outfit, opt for a pair of flowy pants and a teddy jacket with Fila sneakers. Walk a mile in these. Fila sneakers can make any outfit effortless, like this easy dress-and–denim jacket combination. Yes, you need another denim jacket. The gum shoe is a unique take. Make any pantsuit casual with a pair of Fila sneakers. Wear this every day at the office. Now, see the other fall sneaker trends we're loving this year.